The Combined Defense Services exam is held twice in a year in the months of February and November. It is conducted by the union public services commissions (UPSC) and enables the aspirants to apply for Indian Army, Indian Air Force, and Naval Academy. The age limit to apply for this exam is 19-25 years. 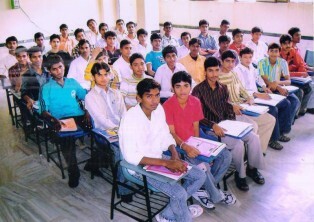 If you are looking for a trustworthy coaching institute in Delhi, then you have come to the right place. The Cavalier is counted amongst the top 10 CDS coaching institutes in New Delhi (India). The Cavalier provides a Comprehensive 45 days and 3 months written coaching and has achieved the best success rate. A candidate can appear for CDS Exam, while he/she is appearing for 3rd year of Graduation. Both Male and Female candidates can apply for CDS Exam. Female candidates can only apply for Short Service Commission i.e. OTA. CDS Exam has three papers i.e. GK, Maths and English for Permanent Commission i.e. IMA, AF & NA and two i.e. English & GK for candidates applying for Short Service Commission i.e. OTA. Candidates with Arts/Commerce background are eligible for ARMY only. The Cavalier has well qualified and dedicated full time faculty. Fully Air Conditioner class rooms. The Cavalier, provides a Comprehensive 45 days and 3 months written coaching and has achieved the best success rate.